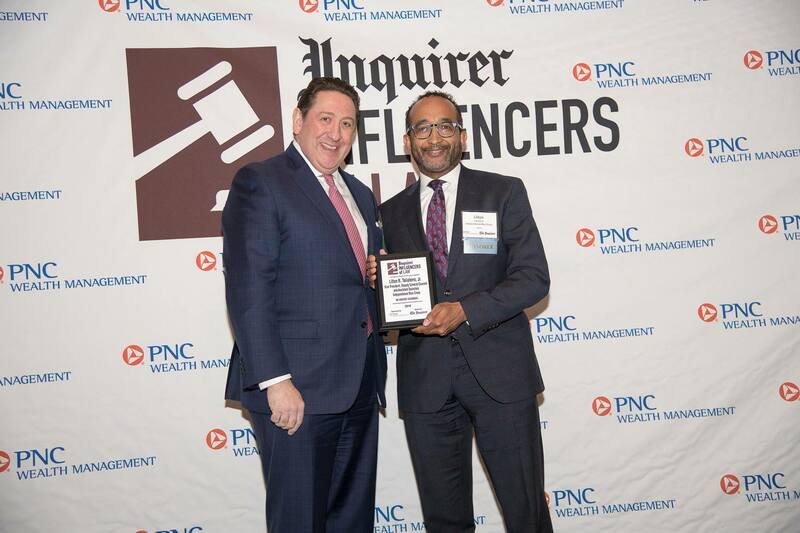 Lilton “Tony” Taliaferro, Independence Blue Cross vice president, deputy general counsel, assistant corporate secretary and general counsel for AmeriHealth New Jersey, was selected as an Influencers of Law winner in the category of In-House Counsel by the Philadelphia Media Network. Taliaferro was recognized for his professional accomplishments and community service at a celebration on March 26 at the Crystal Tea Room in Philadelphia. Taliaferro has spent more than 30 years with Independence, providing counsel on corporate governance and transactions, state and federal health care laws, and marketing, provider, and operational matters. He also serves as counsel to the Independence Blue Cross Foundation. Committed to community volunteerism, Taliaferro is a dedicated member of Independence’s Blue Crew volunteer group, as well as a member of the Blue Crew Advisory Board. He also serves as executive sponsor for the Multicultural Men’s Group, Independence’s associate resource group providing professional development opportunities, community outreach opportunities, and wellness support to male associates. In 2018, Taliaferro received the Albert S. Dandridge III Diversity Award presented by the Philadelphia Bar Association for his contributions to diversity in the Philadelphia area and his promotion of a full and equal workforce in the legal profession. He was also awarded the National Bar Association Women Lawyers Division, Philadelphia Chapter 2018 Renaissance Man Award for his service and commitment to the legal community, and he was recognized by Savoy Magazine in 2018 as one of the most influential black attorneys in the country.